The UPDATE we have all been waiting for! like we said previously back in September HERE, Los Angeles based illustrator and designer, Chris Lee has his uber cool Rhino Beetle transformed into a resin art figure! Chris landed 2 spots on the already released Kidrobot “City Cryptid” Dunny series with 2 Dunny designs. Chris showed the WIP sculpt if his Rhino Beetle and it looks freaking awesome already. The Rhino Beetle comes straight out of his Moss Kingdom series and we look forward to more to come from the series if its anything like the prints/paintings already done by Christopher Lee. Sculpt and casting are being done by Paul Tanompong of ‘Props and Pop’. 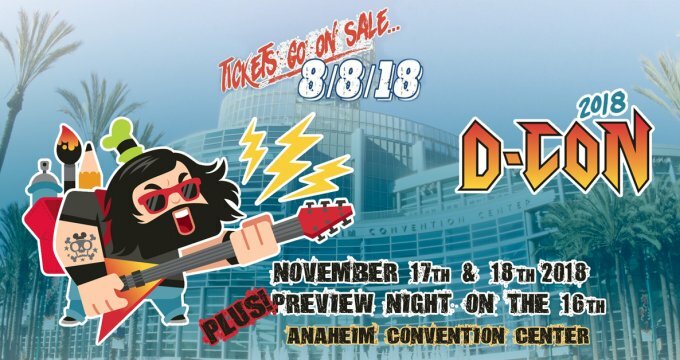 As Chris quotes via Twitter “resin figure for DesignerCon and its TRUE as today he’s confirmed a small amount has been finished. Signalling we should make a run for Chris booth straight away at Dcon! Below are a few WIP shots of Rhino Beetle and the packaging for Rhino Beetle. This isn’t the way I wanted to reveal the packaging, but I literally have to leave to go set up in an hour. Due to multiple deadlines, I almost didn’t pull this project off, but I’m glad everything worked out. When brainstorming for a packaging solution, I came across these mini critter carriers and they were just PERFECT. I had static clings printed so I could make a little foliage backdrop for the figure. Each carrier comes with a beetle, log, and the sticker patch that inspired this whole project. Please note these are all prototype photos. Stay tuned for further updates. 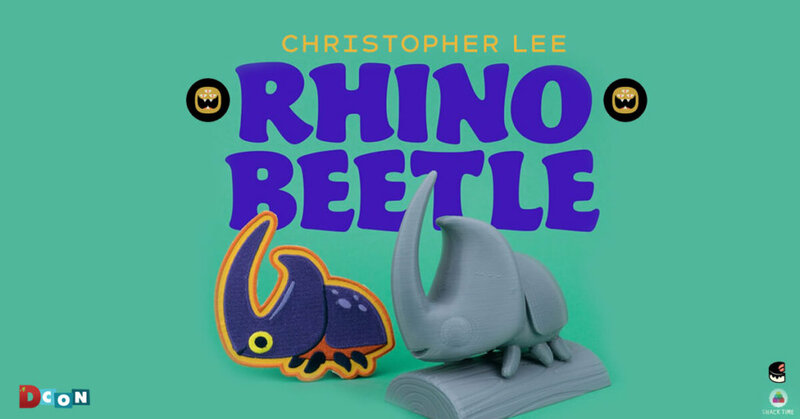 For Chris Lee merch head to https://store.thebeastisback.com/ which is filled with Prints, stickers and the awesome Road Trip – Screen Print where it features Rhino Beetle. Did you all check the WHALE by Chris? Find Christopher at https://www.thebeastisback.com/ and https://www.nightcakepress.com/. Twitter and Instagram.